(Photo: © Peter Kenny / Ecumenical News)Israeli settlements expand in sight of Bethlehem on the West Bank photographed in February 2016. The American group Christians for Fair Witness is imploring Israeli Prime Minister Benjamin Netanyahu to "stop the reckless and indefensible settlement building and threats of annexation" in a call to Israelis and Palestinian to take control of their own future. The Fair Witness group led by a Dominican nun and litigation lawyer Sister Ruth Lautt calls on . Netanyahu to "put the future of the State of Israel ahead of your own political ambitions" and to acknowledge the need for a two-State solution and back this up with corresponding actions. At the same time the group call on Palestinian Authority chairman Mahmoud Abbas to repudiate his former pattern "of walking away from peace offers." Christians for Fair Witness call on Abbas to, "stop setting pre-conditions for negotiations which you know will not be met and stop looking to the international community to do that which only Israelis and Palestinians can themselves do." The group said that international resolutions and statements will not achieve sovereignty for Palestinians or put an end to the occupation b Israel. In a Jan. 5 statement released in New York, the ecumenical group made up of concerned church people, lawyers and other professionals, noted that world powers are preparing to convene at a summit in Paris later this month to discuss the future of Israel and Palestine. It said that neither the Israelis nor the Palestinians have been invited to take part in the actual summit, but that that they were invited to a separate meeting following the summit where the participating countries will present them with the conclusions. "While we do not doubt the good intentions of the international community, it would be fair to call this approach somewhat colonialist and condescending. Christians for Fair Witness on the Middle East urges the parties themselves to take their futures into their own hands." The group implored both Netanyahu and Abbas to begin to demonstrate statesmanship and leadership and start the hard work of preparing their people "for the compromises necessary for a lasting full status agreement and the possibility of peace." Christians for Fair Witness noted that in the end the international community's recommendations will not halt the conflict in the Holy Land. "Only a peace treaty between the parties can do that. Therefore we look to Israel and the Palestinians to return in good faith to the negotiating table and sign off on a just final status agreement within a pre-determined period of time. " The call came after Israel responded angrily to a Dec. 23 United Nation Security Council resolution condemning Israeli settlements in the occupied territories and it recalled two of its ambassadors to countries that voted for the motion and threatening to cut aid to one of them. 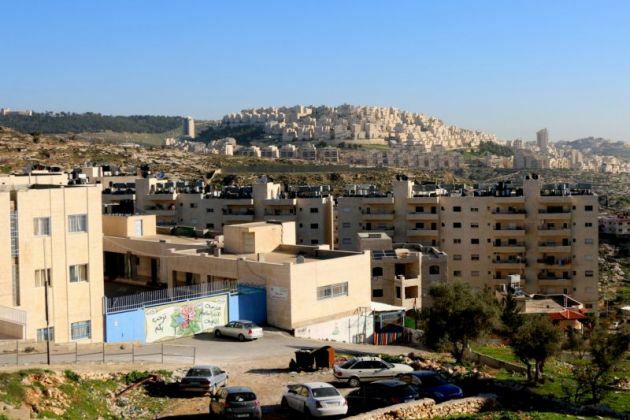 The security council adopted the landmark resolution demanding Israel halt all settlement building and expansion in the occupied territories after U.S. President Barack Obama's administration refused to veto the resolution, abstaining on the vote in a landmark decision. A White House official said Obama had taken the decision to abstain in the absence of any meaningful peace process. The resolution passed by a 14-0 vote, and a packed chamber gave it loud applause after the U.S. ambassador, Samantha Power abstained. Netanyahu's office quickly condemned the vote as "shameful", saying also that Israel is expecting to work more closely with the U.S. president-elect, Donald Trump. Jane Eisner editorialized in the progressive Jewish magazine, The Forward, Jan. 3 "Secretary of State John Kerry made a long and forceful case for why the two-state solution is so endangered, so necessary, and why it is worthy of rescue. "Personally, I thought his statement was generally accurate and heartfelt on the merits, but disappointing and dumb on the politics, a cri de coeur that did nothing to advance the cause and did everything to unite his opponents and divide his supporters. "Fine. Pillory him, along with President Obama for failing to veto — for the first time in eight years - a United Nations resolution that pretty much repeated what zillions of others have said, though this time with language slightly more favorable to Israel. "You may have taken advantage of this gigantic misstep to rewrite the narrative, but first you have to come up with the plot."